A common question I get is what is the difference between instant oats and rolled oatsand can you interchange them? Rolled oats are bigger than instant oats and take longer to cook (see the size difference in the video). If a recipe calls for instant oats, but you only have rolled oats, no problem. How to turn Rolled Oats into Instant Oats:Chop the rolled oats up in your food processor or blender so that they're smaller, more granulated and the consistency of instant oats. You can also use instant oats in place of bread crumbs in most recipes, I actually really like using them in my burger recipes. Instead of bread crumbs I use a small handful of instant oats (about 1/3 cup). When using oats instead of bread crumbs, do not automatically do a direct 1:1 substitution since oats are so much bulkier and they're thirsty, so they can dry out your food if you add too many. Start with less, about 1/3 cup and add more as necessary. 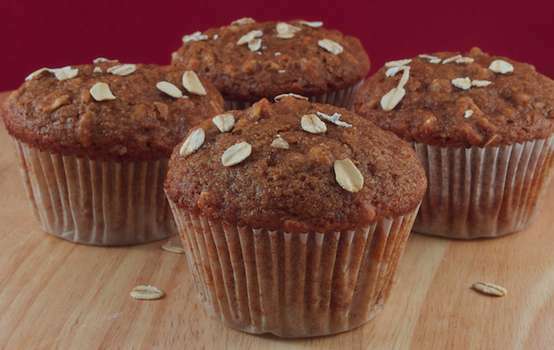 Mmm... HH's Apple Crisp Muffins use oats! 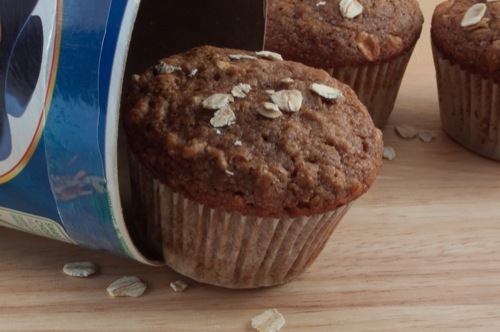 Depending on your oats, oats can also act as an easygluten-free substitute! My new favorite thing to do with oats is make oat flour.